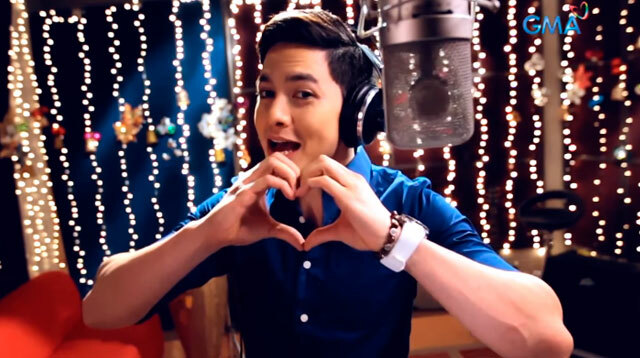 Sing Along With Alden Richards In The GMA Christmas Station ID! GMA Network’s biggest breakout star, Alden Richards, headlines the Kapuso channel’s Christmas station ID for 2015. BUT OF COURSE. Our Pambansang Bae sings “MaGMAhalan Tayo Ngayong Pasko,” an original song by BJ Camaya, Clare Yee, and Simon Tan. With his dimpled smile and sarap-mong-iuwi-kay-mommy charm, Alden slays this Christmas tune—but wait, where's Maine Mendoza?